Blue Flag awarded to Pesja beach at Omišalj - JANAF Plc. 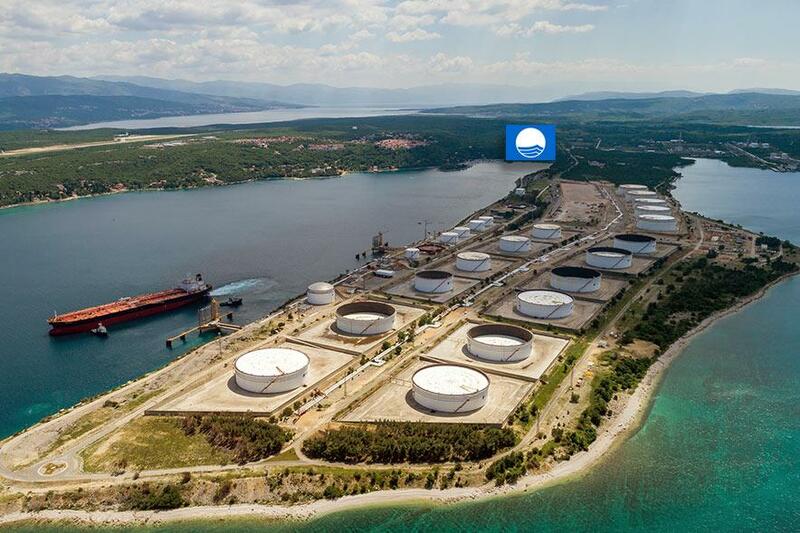 On the Pesja beach, in the close vicinity of the Omišalj Terminal, only a few hundred meters away from our tanker berths, the international Blue Flag has been waving for years now. This prestigious eco-label is a part of the programme related to the protection of the environment, sea and coastal area, awarded by a non-profit organisation - Foundation for Environmental Education (FEE) with the European Council. The criteria for awarding the international Blue Flag are exceptionally strict, and one of the most important criteria is the seawater quality. The Blue Flag waving in the neighbouring vicinity of the Omišalj Terminal is a proof of coexistence achieved between the industry and nature and of high ecological awareness of our employees. © 2019. JANAF Plc. All Rights Reserved.